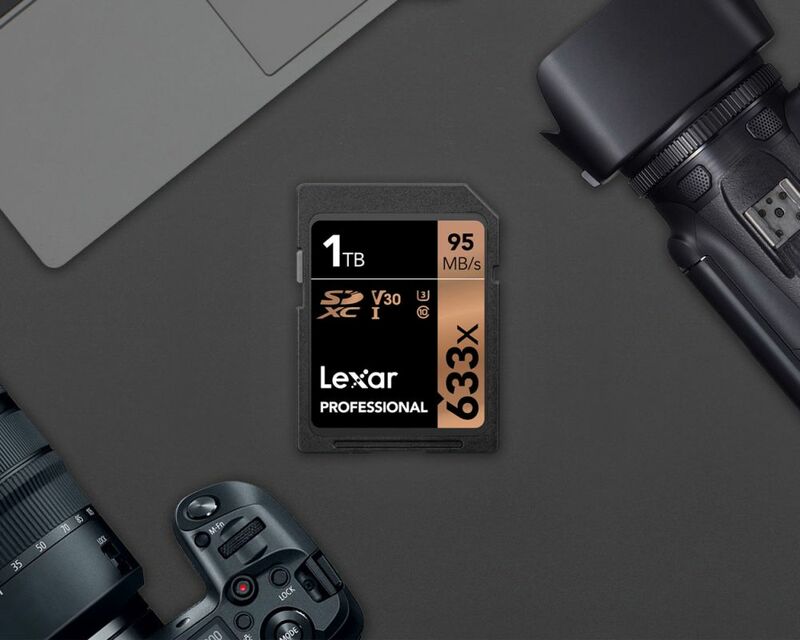 Lexar, a leading global brand of flash memory solutions, today announced the new Lexar® Professional 633x SDXC™ UHS-I card with 1 terabyte (1TB) of memory. Shoot and record more of what you love without changing cards with this high-capacity 1TB memory card that supplies the space you need for capturing all the action. Designed for your mid-range DSLR, HD camcorder, or 3D camera, the Lexar® Professional 633x SDXC™ UHS-I card lets you quickly capture, and transfer high-quality photos and stunning 1080p full-HD, 3D, and 4K video*, with read speeds of up to 633x (95MB/s). This Class 10 card leverages UHS-I technology to deliver high-speed performance to get the shot you want, while providing the reliability you need. ← Members in the news!